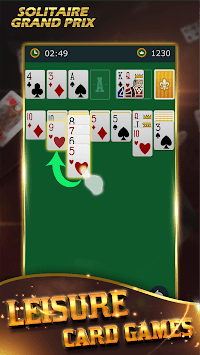 "Solitaire Grand Prix" is a game product that we have different from the traditional classic Solitaire. 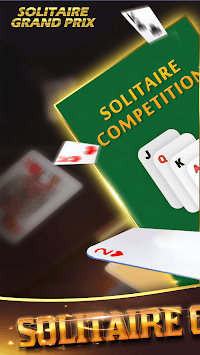 The difference with the traditional Solitaire game is that we have joined the real matchmaking system, which makes the classic gameplay that was originally a stand-alone game become the mode of multiplayer online competition. 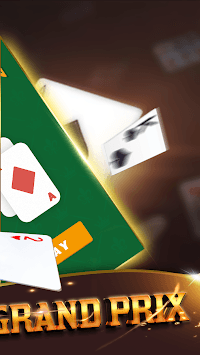 The game can not only match two players from all over the world, but also directly invite your friends to enter into a duel, which is more competitive. At the same time, we also optimized our game mode, from registration to game, automatic matching throughout the process, using the elimination system. You can beat all the contestants and win the final victory. The game will not ask for any fees, nor will there be any recharge items, completely free. As long as you play, no matter what kind of game mode you participate in, you will be rewarded with enough rewards. What other reasons do you have to play? If you like our game, please write or update your comment ,appreciate your support!